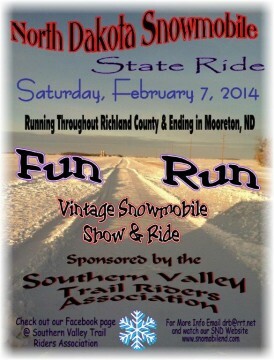 Southern Valley Trail Riders will host the State Snowmobile Ride on February 7, 2015 at the Mooreton Community Center. A vintage show and poker run will be held in conjunction with the event. ← I have free time, can I operate a groomer?